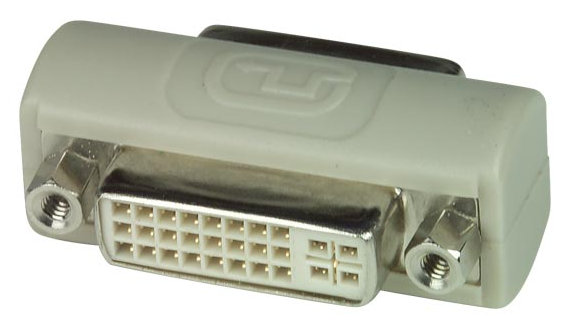 The XTENDEX® DVI Extender via Fiber Optic Cable locates a single link digital DVI display away from a computer up to 4,920 feet (1,500 meters) using singlemode fiber optic cable and 1,640 feet (500 meters) using multimode fiber optic cable. Supports resolutions to 1920x1200. Also known as: DVI Optical Extension, DVI-D extender, DVI digital to multimode/singlemode fiber, optical extender, graphic extension modules, fiber optic digital video extender, balun. The XTENDEX® ST-2FODVI-LC DVI Extender via Fiber Optic Cable locates a single link digital DVI display away from a computer up to 4,920 feet (1,500 meters) using singlemode fiber optic cable and 1,640 feet (500 meters) using multimode fiber optic cable. 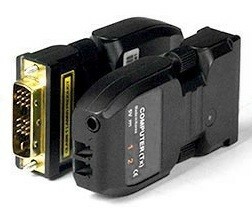 Each extender consists of a transmitter that connects to a computer and a receiver that connects to a monitor. Supports computer resolutions to 1920x1200. Signal transmission via two strand singlemode or multimode LC fiber optic cable – no RF interference. Small form factor – allowing for easy connection and placement. Remote DVI display monitoring for medical, military, aerospace, industrial and traffic control applications. Digital Flat Panel Displays (FPD), Plasma Display Panels (PDP) and projectors in conference rooms and auditoriums. Color LED signboards, FPDs and PDPs for information display at stadiums. 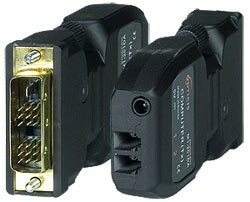 Connectors (for transmitter and receiver): one male DVI-D single link connector and two LC fiber connectors. Maximum distance: 4,920 feet (1,500 meters) using singlemode cable and 1,640 feet (500 meters) using multimode cable. Compliant with DDWG DVI standard. Storage Temperature: 14 to 185°F (-10 to 85°C). Operating and Storage Relative Humidity: 5 to 85% non-condensing RH. 1,640 feet (500 meters) over 50µm multimode LC fiber optic cable. 4,920 feet (1,500 meters) over 9micro;m singlemode LC fiber optic cable. 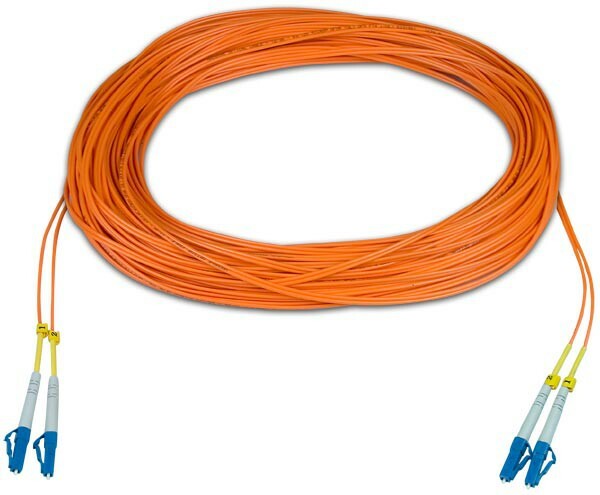 Use a FIBER-D-LCLC-50-xxM duplex multimode LC 50-micron fiber optic cable to extend the receiver from the transmitter up to 1,640 feet (500 meters). Use a duplex singlemode LC 9-micron fiber optic cable to extend the receiver from the transmitter up to 4,920 feet (1,500 meters). Power consumption: 5 W (each – transmitter and receiver). "Electric Picture conducted a signal path upgrade for Venture NOTC, the Naval Officer Training Center in Esquimalt, BC, Canada in September, 2012. The installation was done under Kongsberg Maritime Systems contract with Canadian Defense. We used the 2LC fiber solution - in particular the NTI ST-2FODVI-LC Fiber Optic Transmitter/Receiver pairs. There were 6 simulators with multiple display channels – all running 1920x1080/60Hz, plus 8 radar display channels running same high resolution rate. In addition, we replaced the signal switching and installed three new touch-panel controllers enabling the instructor to change training visual and radar databases as needed. We had a small window of opportunity in which to do the changeover from analog RGBHV to Fiber Optic as this facility is in use 50 wks/year for ships bridge training. We used 106 transmitter/receiver pairs and had a slight glitch with only one receiver, which was replaced – door to door – within a week. The video quality was excellent going to/from all locations – some fiber runs as long as 50m. The customer was extremely pleased with the performance, and as a result is considering an upgrade to their other training facility. We will continue to use NTI 2LC fiber-optic transmitters and receivers for future jobs. This is consistent with all their products which have been excellent quality and value-priced." "We are very pleased with the performance and video quality of the ST-2FODVI-LC DVI Extender over Fiber Cable. The quality of the product is excellent, and the sales and service departments at NTI are very knowledgeable and friendly."